Crystal essence Pomegranate, made of natural mineral salts and infused with the refreshing aroma of pomegranate, creates an invisible protective barrier against odor-causing bacteria. 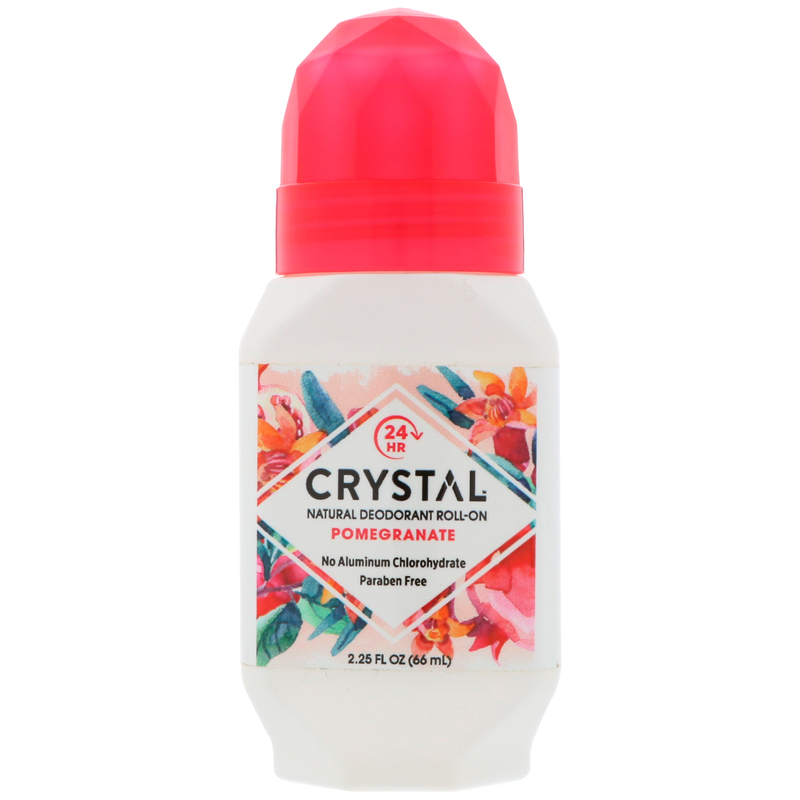 Crystal essence Pomegranate is long-lasting, non-sticky, non-staining and leaves no white residue. 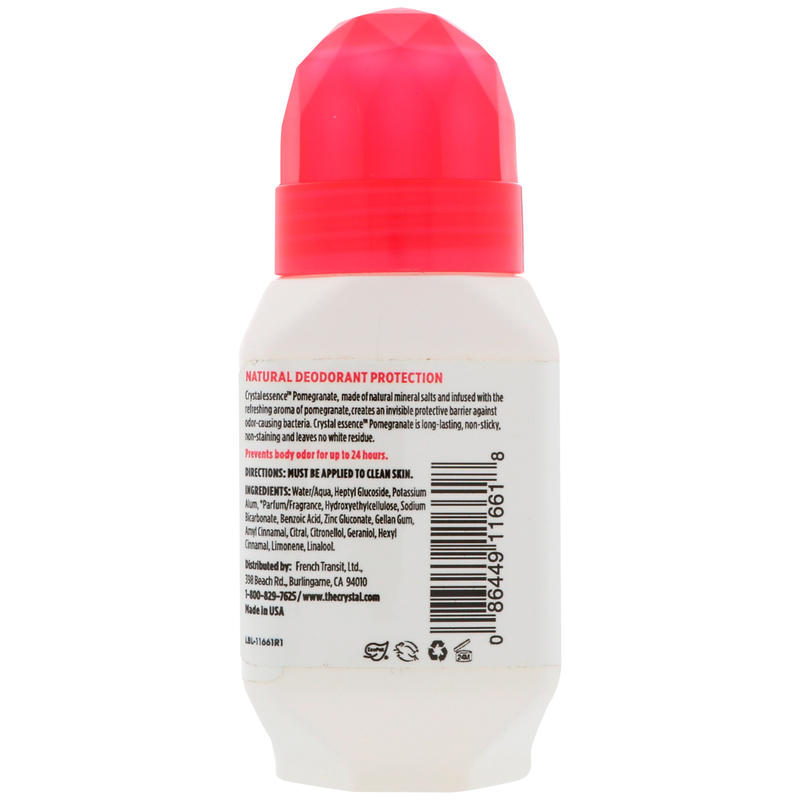 Water/aqua, heptyl glucoside, potassium alum, *parfum/fragrance, hydroxyethylcellulose, sodium bicarbonate, benzoic acid, zinc gluconate, gellan gum, amyl cinnamal, citral, citronellol, geraniol, hexyl cinnamal, limonene, linalool.